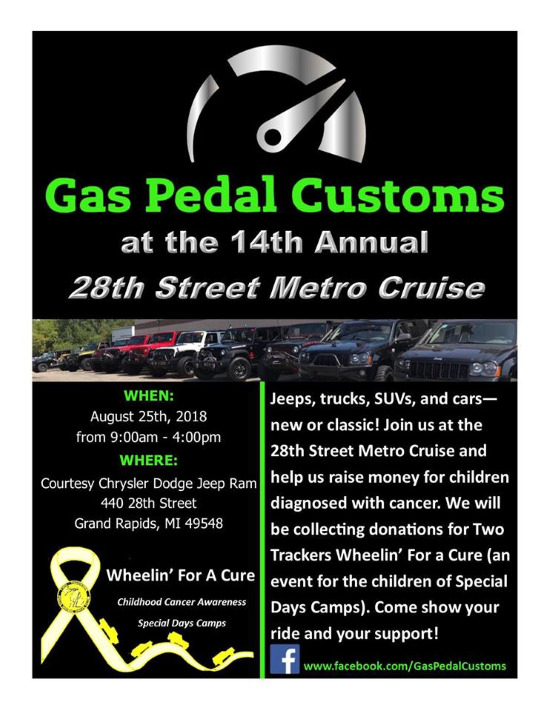 GRJC will again join with Gas Pedal Customs at the Grand Rapids Metro Cruise. Spend a day with the club and one of our vendor partners. Paid members - This is a Double Ticket event. *** disclaimer - Participation in any GRJC posted event, is at your own risk. GRJC is not responsible for any injury or damage to vehicles. Also, any attendee to a GRJC event may be asked to leave if their behavior does not meet our family or safety standards.